As the winter creeps on and the days grow colder, hunger for a hearty and soul-warming Burger grows. That’s where Sarah Street Bar & Grill comes in. 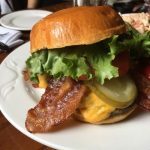 Their Bacon Cheddar Burger is piled high with flavorful, melted cheddar cheese, garlic pickles, lettuce, tomato, and crispy applewood smoked bacon. All of this on a Butcher’s Blend Burger, will surely keep you warm during those January nights. 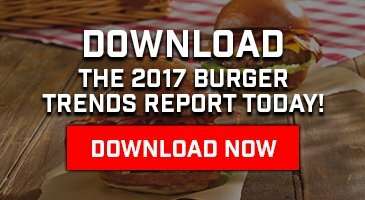 We got the scoop on this Burger build so we could share it with all of you to make at home. Enjoy! Photos courtesy of Luann Angeli. The Sarah Street Bar & Grill is located in downtown Stroudsburg, in the heart of the Pocono Mountains. We invite you to enjoy great food in our dining rooms or eat outside on our spacious deck. Later, you can enjoy a cocktail and check out the quality original music, or enjoy a game of pool or darts in our game room. Our seemingly endless selection of delicious entrees, sushi and pub-fare combined with our excellent staff will make your dining experience one to remember!